wait… where’s my gloves and scarf because it’s 55 degrees out and I’m freezing! With all the snow day talk on the news, I knew I had to do something for my sweet seconds to help bring that snowy weather south a bit!. We started off the week learning all about the “Snowflake Man” himself, Snowflake Bentley. After reading the text through several times, we worked to ID the main idea of the text. I wrote our thoughts on our Main Idea and Details Interactive Anchor chart. Then, I challenged the students to think about the text and write two details that supported our main idea. We sorted through the sticky notes after each student had placed their details. As a class, we read each detail, decided if it belonged on our chart and then grouped them by idea. 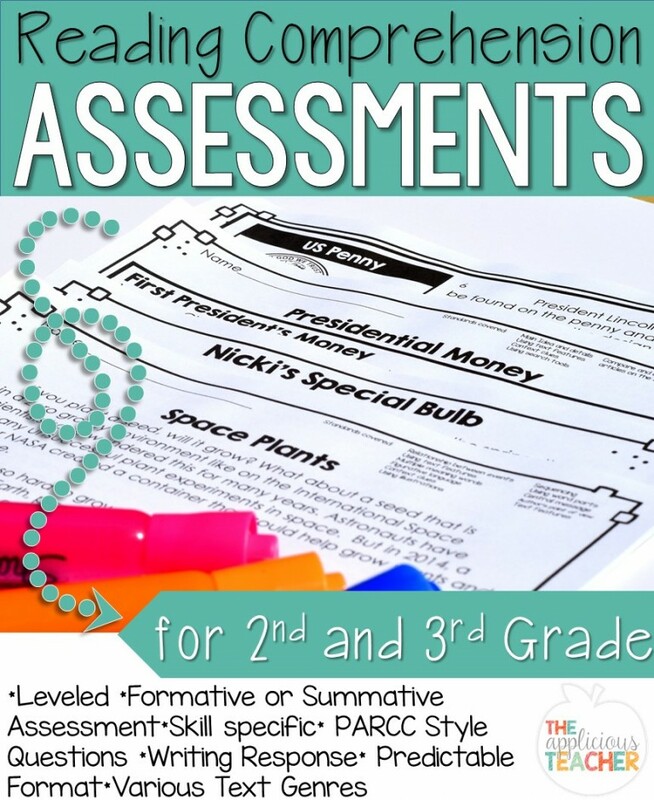 I love using the chart because it allows a very abstract idea to become hands on. As we continued our learning about snow through the week, we also recorded our learning on our Interactive KWL. As our week continued, if we didn’t find an answer to a question, we took to the IPads to do a little research. My favorite was having the students explain why it rarely snows in sunny Florida. Words like equator and heat were all over their little explanations. #proudteacher! 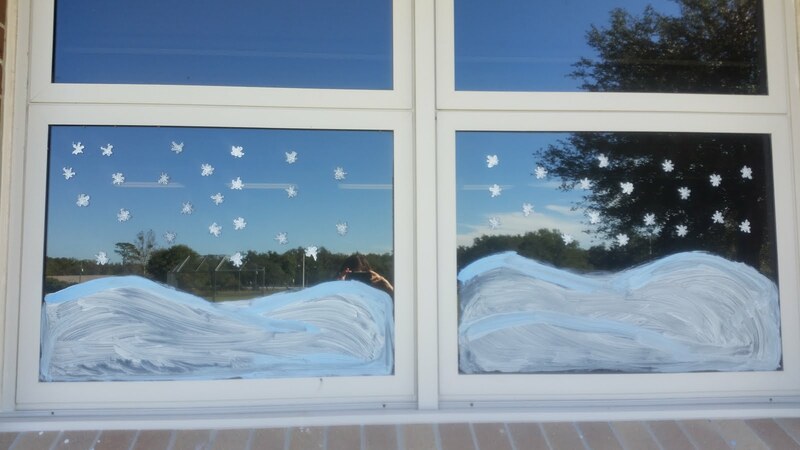 To help amp up the wintry feeling, I painted the windows of our classroom with tempera paint. Using a mixture of white and blue, I was able to make some decent looking snow banks and snowflakes. Not bad for a lady who’s lived in Florida for over 25 years! 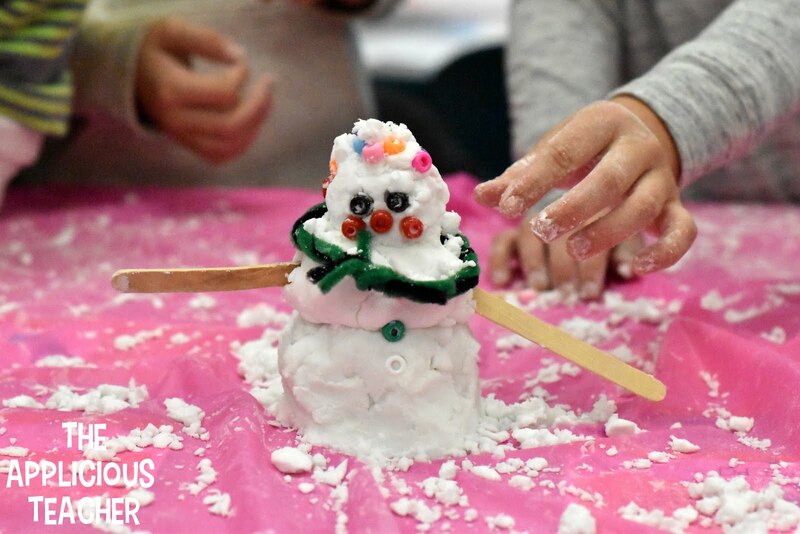 ;)As a fun writing activity to add to our “Snow Day”, we also completed this “Do You Wanna Build a Snowman?” Expository writing activity. 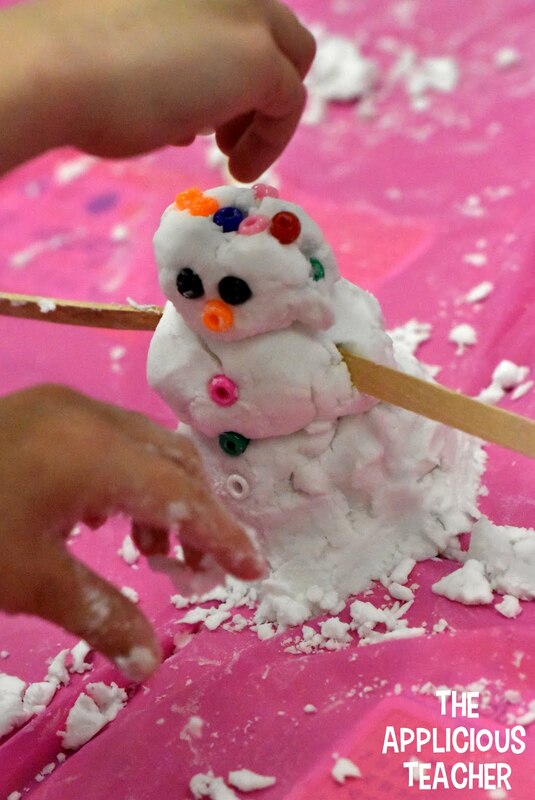 As a class, we brainstormed the step we’d have to take to make a snowman. Then, students used the steps we had brainstormed to write their own expository piece. 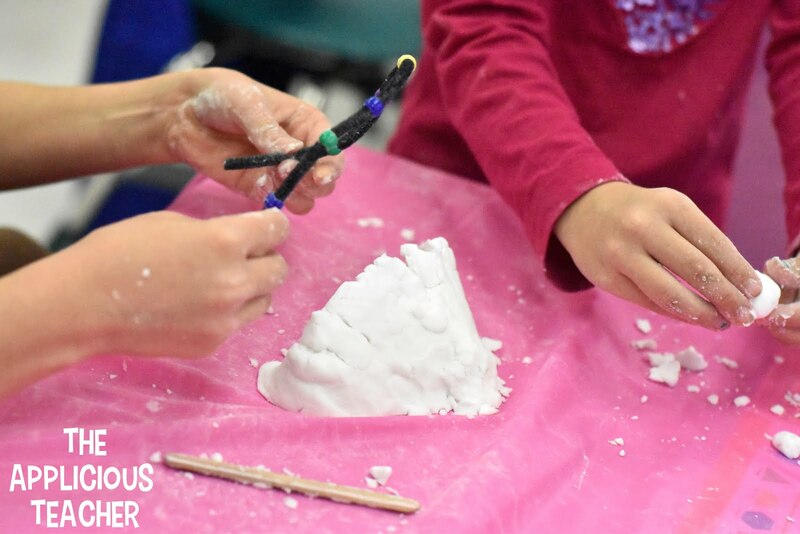 Once students finished their writing, they got to build their own snowman using some simple cut and paste pieces. 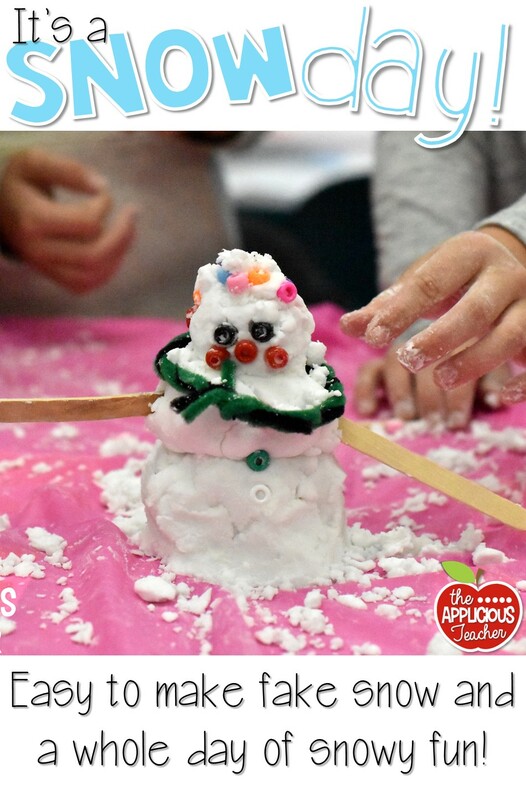 You can grab this activity from my “Snow Days” Literacy Centers. 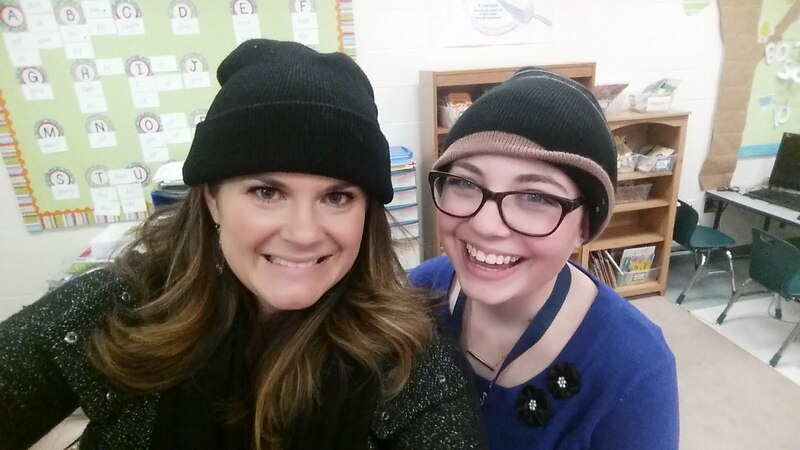 I also convinced my student teacher, Miss Perry, that we just had to get into character and dress up in our most wintry attire! She was a great sport and donned a beanie and scarf! Oh, did I mention I am hosting a student teacher this semester? This poor girl doesn’t even know the mess that she has walked into… but so far, she’s fittin’ right in! Of course no snow day can happen without some actual snow! This is seriously the EASIEST recipe ever! 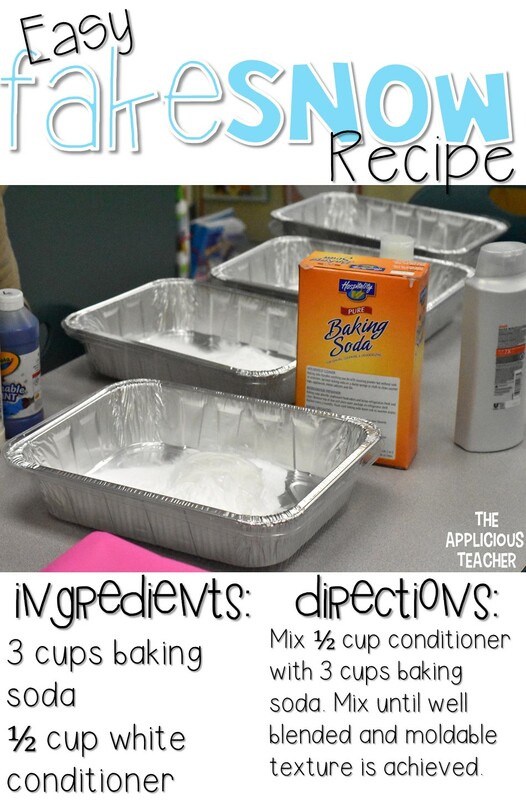 Just some baking soda and conditioner and BOOM! 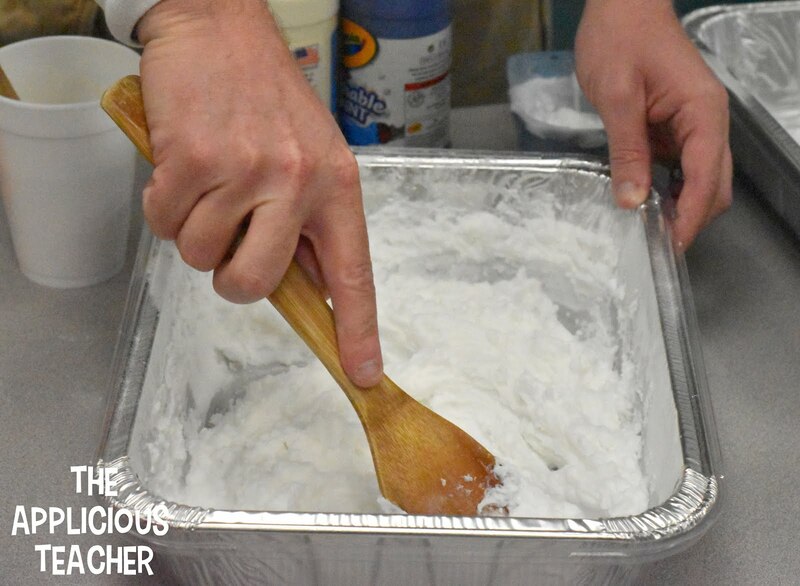 We used foil baking dishes to mix up our snow. We made enough for each table to have a baking dish to work with. This stuff even feels “cold”! To set up our space, we threw plastic table cloths over the students’ desks. Believe me when I tell you… it will get messy! The kiddos used some left over classroom craft materials to accessorize their little buddies. 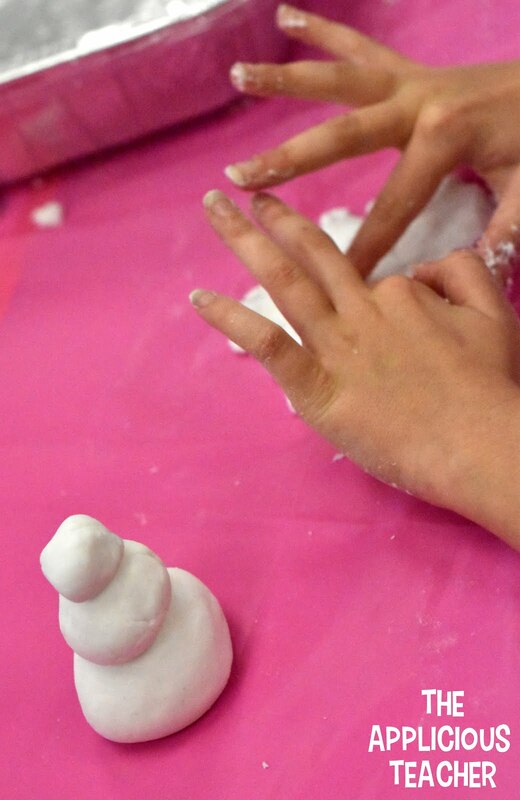 Some of the groups even pulled all their snow together and made larger snowmen. Clean up was pretty easy. No seriously! I’m not kidding! The kiddos worked to get as much of the “snow” back into the pan. What didn’t make it, was rolled up and thrown away with the plastic tablecloths. Some snow did end up on the floor. The snow that landed on the tile was just swept up. The little bit that landed on the carpet was vacuumed away. Oh… and my room smelled freshly washed for the next few days! LOL! 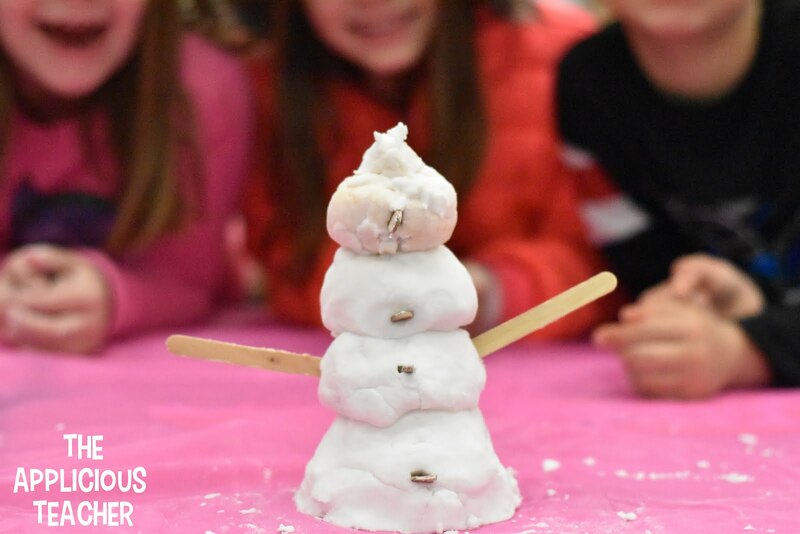 This was such a fun way to end our Snow unit! You have to try it! This snow day looks like so much fun! I'm going to have to do this with my kids sometime! This is fabulous! I live in Central California, and I was freezing all day because the high was 52 degrees. I am going to try your snow recipe. Thanks for sharing!